Three readers letters caught my eye this weekend in the Sunday Times and I agreed with most of the correspondents views. 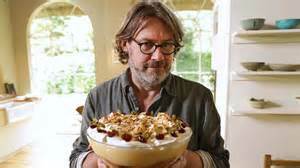 Two concerned the new Nigel Slater BBC TV programme 'Eating Together', transmitted on a Monday evening from 7.30pm. Nigel meets home cooks to sample a range of dishes from around the world. Well, I don't know if I agree with the 'erudite and original chef' bit. I have always found him difficult to watch and listen to and his cooking instructions are far from clear, but as for his 'new' appearance, he does look more like a 60's hippy than a TV chef! I could not agree more. 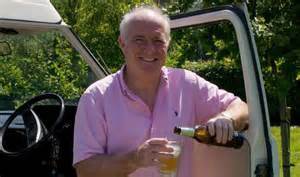 In the last week we have seen Rick Stein in Germany (below), to find the best seafood from the north German coast, Ainsley Harriott in Japan tasting street food and a host of other re-runs of celebrity chefs cooking in the Australian outback or in a Delhi market place. And what's more, they all taste their own cooked food and tell us how good it is. Why not let someone else be the judge of that! Well done Stewart. 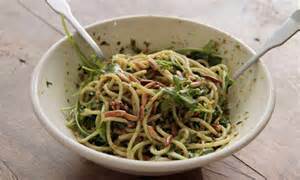 My wife too creates the perfect food and as I taste it, I can say that! THE KITCHEN IS THE NEW SHED! IT'S NATIONAL BEER DAY TODAY! WHERE DOES YOUR TIP GO? WHERE'S ALL THE PROSECCO GONE?